Recently we have been asked to help build a very innovative marketing tool called Billboard Alerts, a web based platform that notifies relevant, near-by businesses about billboard vacancies. Billboard owners can now notify hundreds of relevant businesses about their available billboard, in an instant, and waste less time cold calling and cold visiting. A billboard company provides the locations of their available signs and the direction they face to the Billboard Alerts platform. Next, they specify the types of businesses to send postcards to (e.g. medical, lodging, food, etc.) and how far to search for them along the highway beyond the signs. The software finds the road each billboard is on and all the businesses near by. For Interstates it searches only at the exits ahead and for non-Interstates it finds all the businesses along the road ahead. The direct mail notices are sent to businesses down the road specifically in the direction that cars are traveling when viewing the sign. This means billboard owners are not wasting money sending postcards or letters to businesses in all directions but only to directionally-relevant businesses based on the direction the sign is facing. Our experience of working with large databases has proved beneficial to this project. To launch the platform our client needed a database of businesses in proximity to major U.S. highways such as restaurants, gas stations, hotels or doctor practices. 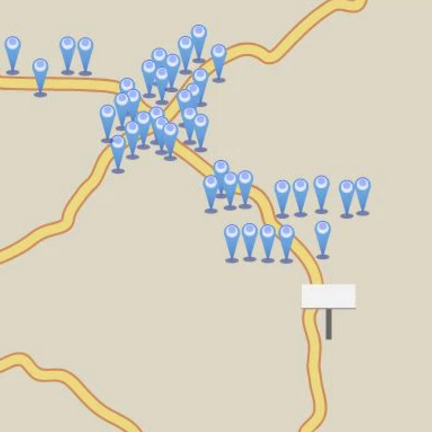 We helped build a crawling engine to look for these places and store them in a MySQL database. We also partnered with Billboard Alerts to provide the most up-to-date medical information such as locations of hospitals, clinics, and doctor offices. Now billboard owners can sell their vacant signage faster, thanks to technology! Latest US medical stats and health related information.